Hello everyone! I am posting this from my hotel room in Anaheim, California. I have a terrible connection, so I hope this works. 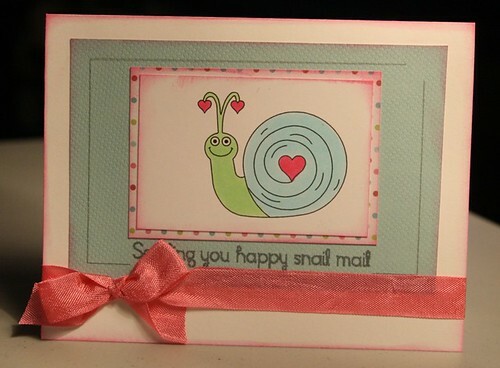 This week over at Sketch Support it is card-sketch week. There have been some beautiful cards posted. Here is the sketch we are working with. Here is the layout that I did using the sketch. Amanda and my mom made me a beautiful rag quilt for Christmas. My mom took photos of Amanda while she was making it and gave them to me because she knew I would want to scrapbook them. 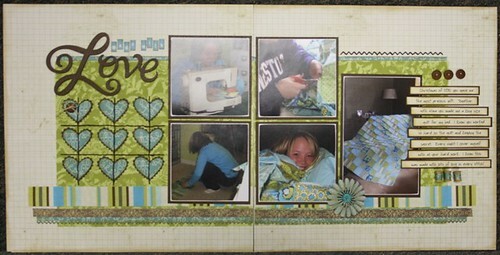 For the green and striped patterns, I used leftover fabric from the quilt to create the background for my layout. It was a bit tricky to work with, but I really wanted it to be part of my page. 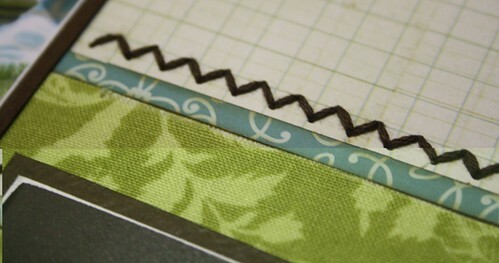 I made sure that I added stitching to tie in the 'quilting' part of my page. 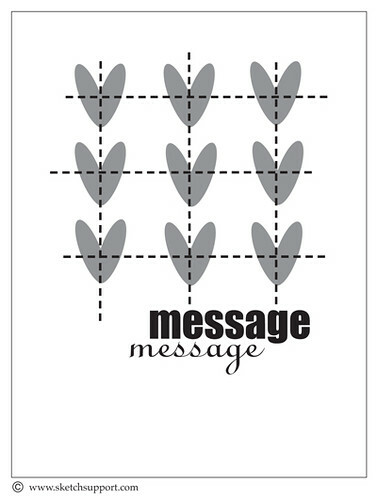 The grid was inspired from the sketch but the layout is a past sketch that we have used on Sketch Support. 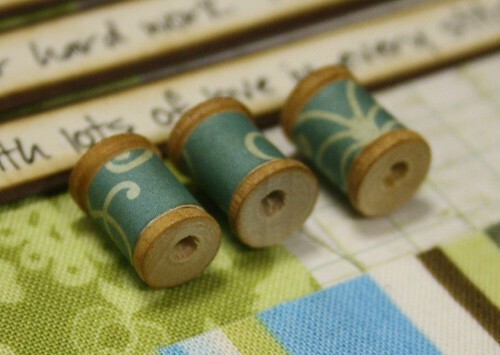 I added some wooden spools wrapped in matching paper to keep with the quilting theme too. I might replace these with spools wrapped in the thread instead. I used my favourite font for my journaling, which was so important on this page. Thanks for visiting! Be sure to stop over to the Sketch Support page and see what all the ladies have created. I knew the minute I saw this sketch what I was going to scrapbook. Can you guess? This week it is one-page sketch week over at Sketch Support! Here is the sketch that I worked with. And, here is my layout! Anything with stars just screams hockey to me. I had some older We R Memory Keepers paper in my stash and this 5x7 photo that I wanted to use. 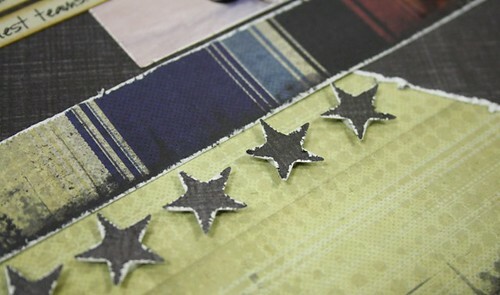 Conveniently, the paper also had some stars on it. 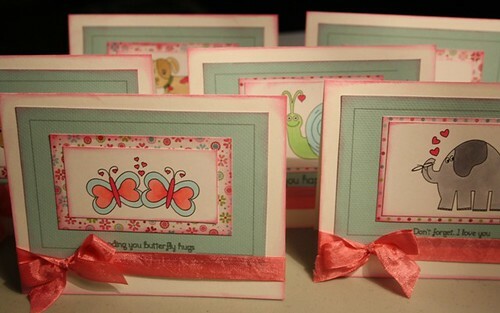 I have used this collection before and I only had scraps to work with. I punched out the circles to make my border of stars along the right side of my photo. I used some American Crafts Thickers for my title. 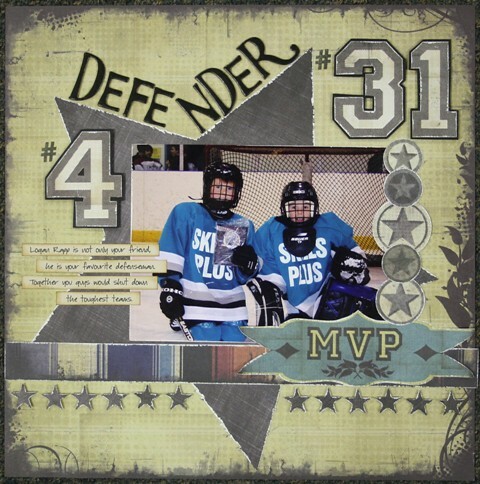 Jason is a goalie and this was his #1 defenseman. They were great friends on and off the ice. Jason wore the #31 on his jersey. And Logan wore the #4 after his favourite hockey player......Bobby Orr. I made a border out of small stars. The paper has a very distressed look so I distressed the edges of all my papers too. I hope you find some time to visit the Sketch Support blog and see what everyone has been creating. It will leave you seeing stars! 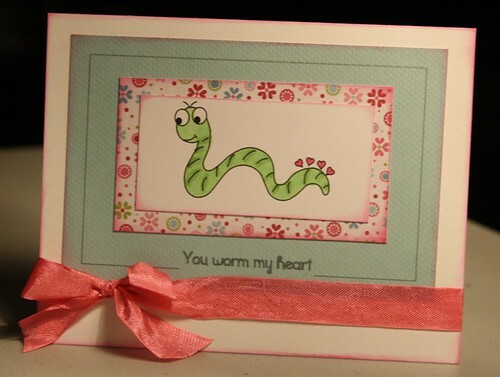 This week I have been busy making some sweet valentines. 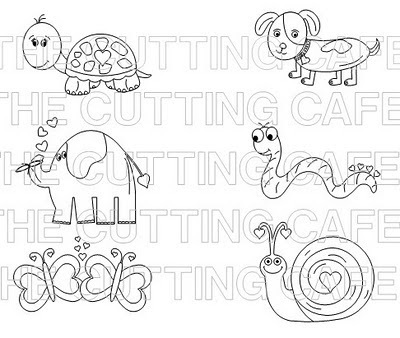 I love the Animal & Bug Love printable stamp set from The Cutting Cafe. Here is just a peek at what comes with this collection. Click here to see everything. Amanda (my daughter) thought I should make a set of valentines and use my Copic markers to colour them. I haven't used my markers in so long, I have forgotten how to use them. I didn't get to fancy with the shading but I had a ton of fun putting them together. Hope you think they are as cute as I do. 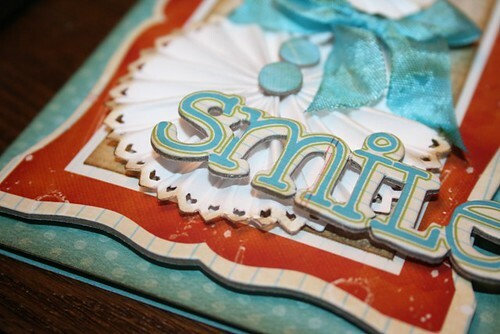 Be sure to visit The Cutting Cafe blog and see what the other ladies are playing with this week. 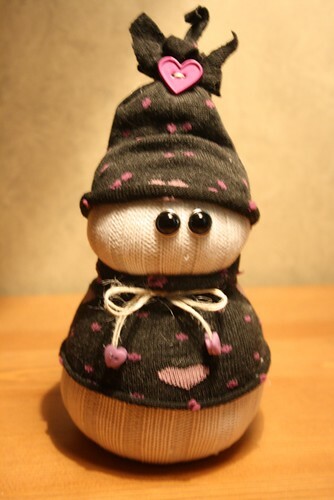 After we did our Sock Snowman workshop at Two Scrapbook Friends, I just couldn't resist making some for myself. 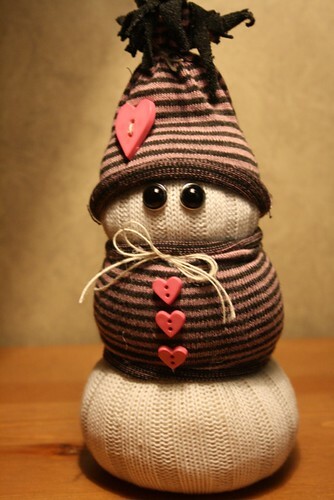 The add-on sketch at Sketch Support is this adorable snowman so I figured my sock snowmen would be perfect. 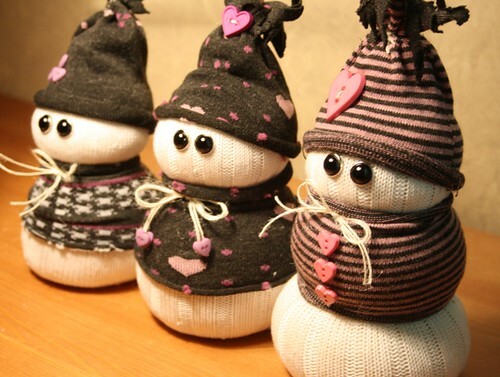 I created 3 snowmen......a set. I was just having so much fun, I couldn't stop. I played around with their hats a bit. I wanted to create more of a toque look (kinda like my kids used to wear when they were younger). I tied a piece of twine close to the top and then I cut slits into the toe of the sock. It naturally curled and did exactly what I wanted it to do. 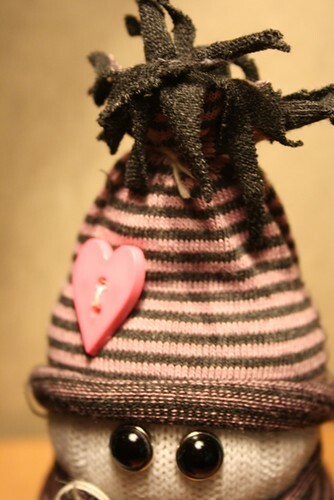 I used different buttons to embellish their hats. I added some tiny buttons to the ends of the twine on this one (sorry the photo is a bit blurry.....the lighting was not that great). I used some big brads for the eyes. 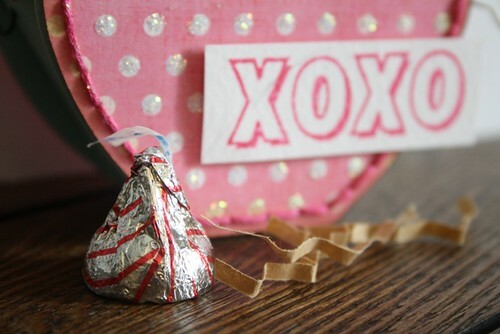 My glue gun got a work out when I made these. 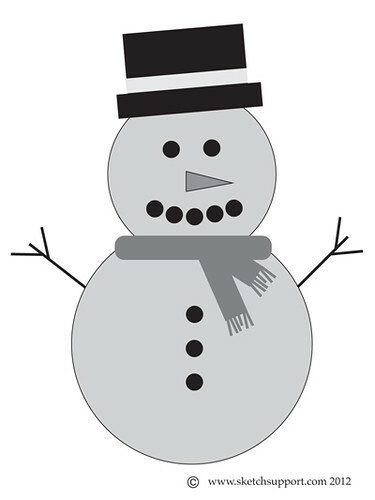 Be sure to visit Sketch Support and see all the great snowman projects. Now that we have some snow, you can put them to good use. I have been waiting all week to post my card for the Add-On sketch over at Sketch Support. 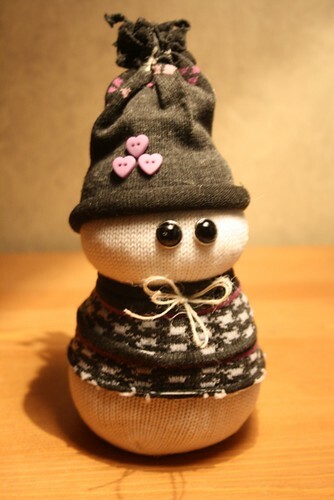 This week it is this adorable snowman. 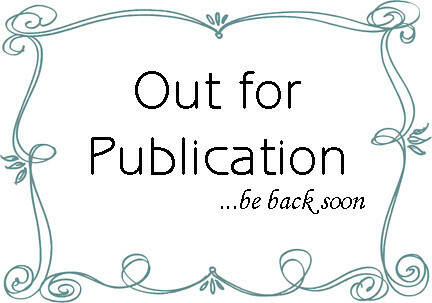 There have been some amazing projects posted so be sure to visit the site and check them out. I decided to make a card for my project. I had seen a similar style of snowman on Pinterest and I really wanted to try to make one of my own. This sketch was the perfect opportunity. 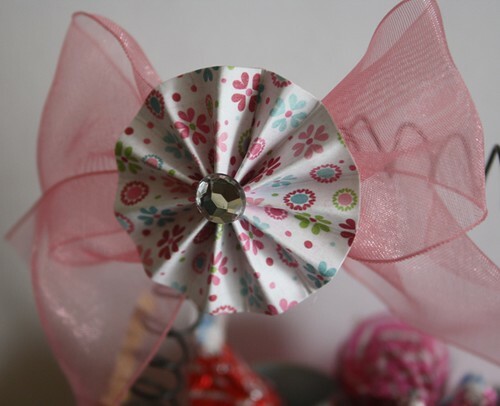 I created accordion flowers in two different sizes for the body and head. 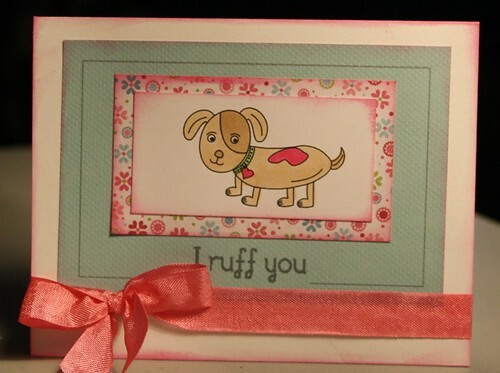 I used a heart border punch on the strip before I scored and folded. I thought the hearts were perfect for my snowman. I also found this miniature carrot nose that fit perfectly on his face. 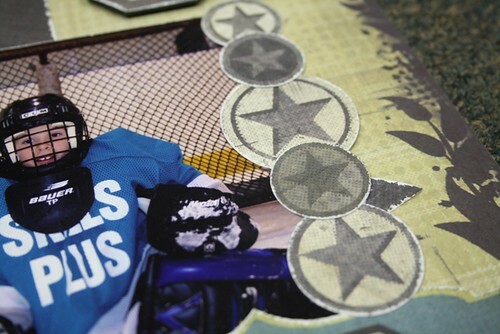 I found some chipboard pieces deep in my stash and they worked great to assemble my card. For the scarf I used some seam binding! 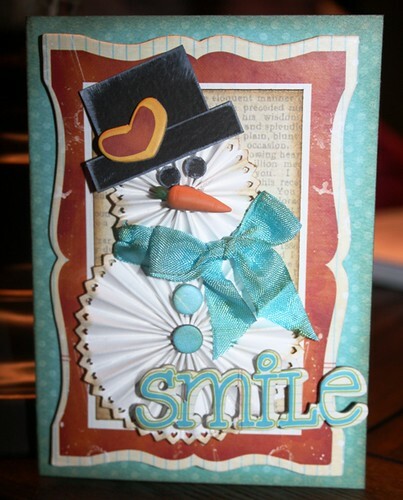 I am not sure that this card will be the permanent home for my snowman. He just may make his way on to a layout in the future. Okay, so I couldn't resist making another project for The Cutting Cafe! This time I thought I would try the Heart Treat Box. I love making little projects like this. 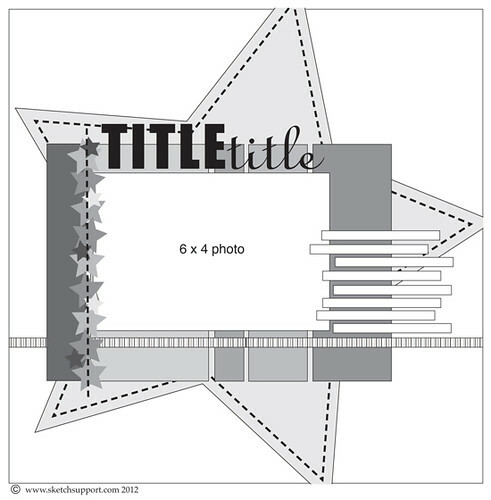 When you purchase this file, you receive the templates for the box plus some printables and hearts and arrows. This is what I created. 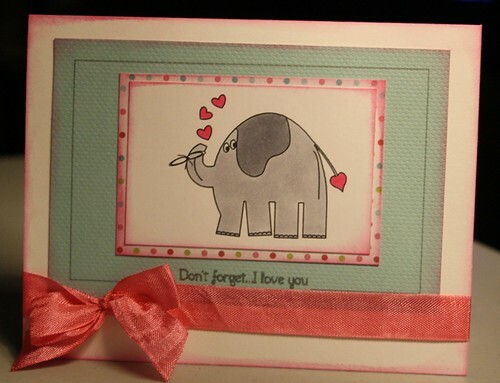 I used new papers from the We R Memory Keepers Love Struck Collection. I have been admiring all the accordion flowers I have been seeing so I thought I would give one a try. 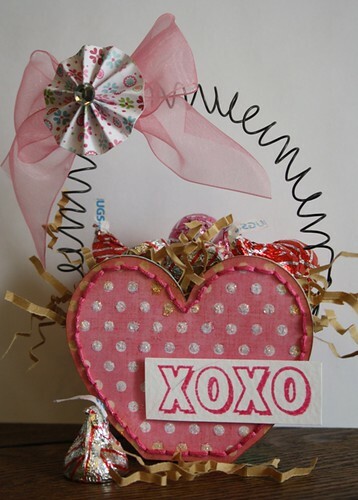 I attached it to the center of the bow and added some bling to sparkle it up. 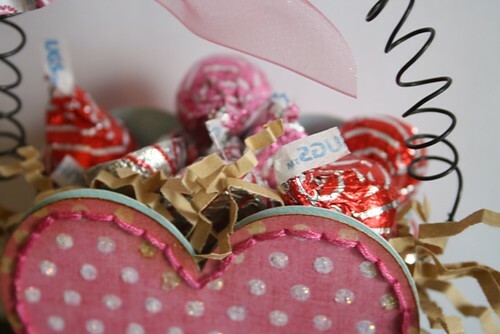 I attached a wire handle and filled the little basket with shredded kraft paper and Hershey's Hugs & Kisses. I added some stitching and Diamond Stickles to the heart and topped it off with a stamped strip. Today is reveal day at the Cutting Cafe. 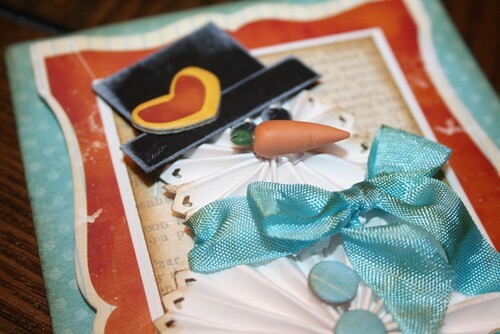 Be sure to visit their blog and see what the other girls have created using these awesome files. 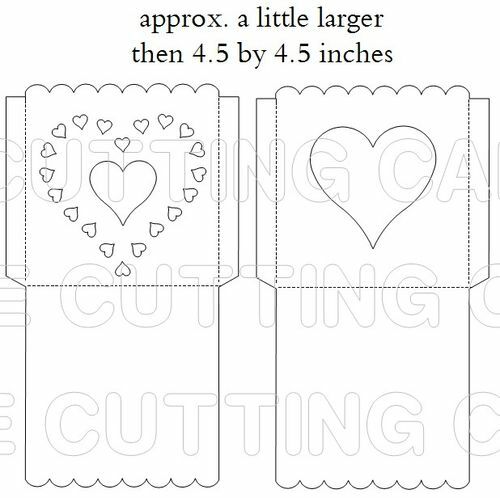 Valentine's Day is right around the corner and The Cutting Cafe has lots and lots of great cutting files and printable stamps to play with. 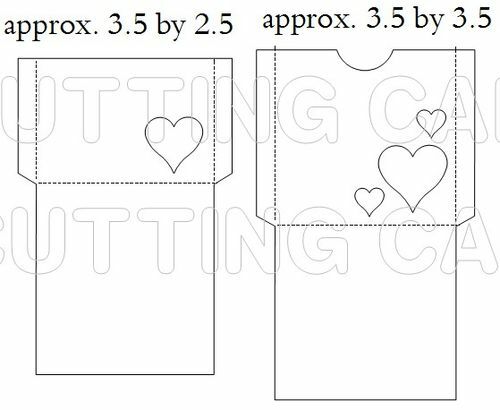 This week I decided to play with the Heart Pockets cutting file. The file comes with 4 different pockets in 2 different sizes. I had so many different ideas for these pockets and I had a really hard time deciding what to do. 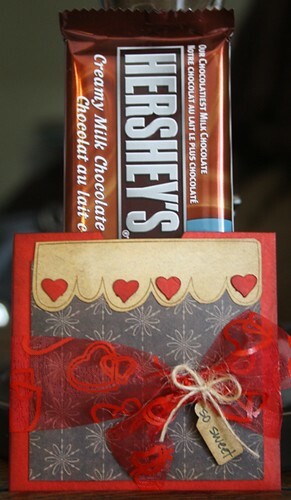 I decided to make a Chocolate bar holder for Valentine's Day. I cut out the pocket and embellished it with some papers I had in my stash. 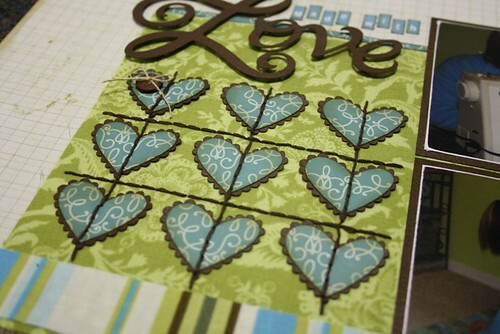 I used a stamp to create the scalloped top and I cut out some of the smaller hearts and added them to the border. 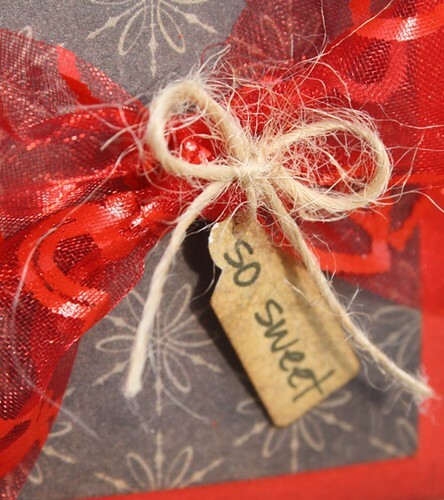 I also used the Everyday Mini Word set to print out my 'sweet' little tag. 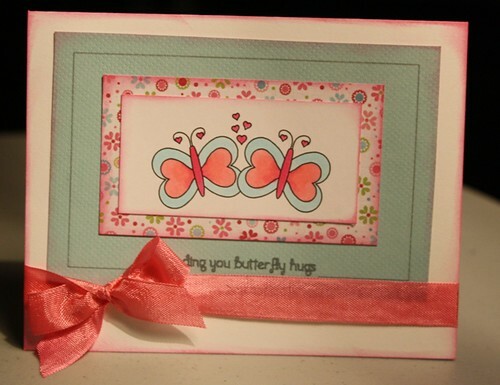 I recently purchased this awesome punch and it works great with these printables. I attached it to my pocket with some printed tulle and some twine. 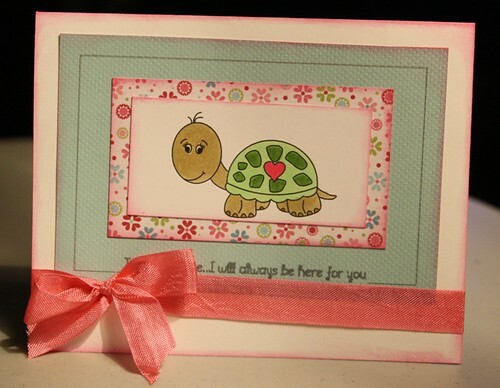 I hope you will visit The Cutting Cafe blog and see what the other members created this week. The post goes up on Wednesdays. I have had this layout laying around for quite a while and all I needed to do was add the journaling. I submitted this to Sketch Support as part of my Design Team application for the 2012 year. I used a new fishing/camping collection from Paper Loft. 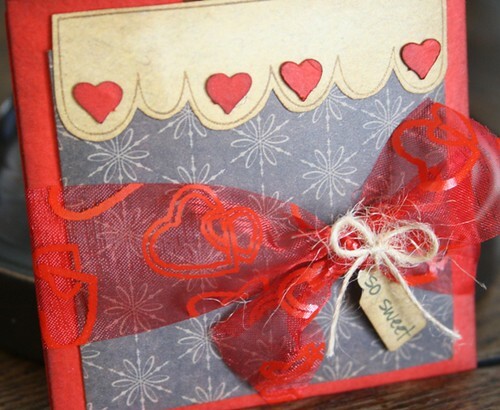 The colours are my favourites and I love the rustic feel of the line. 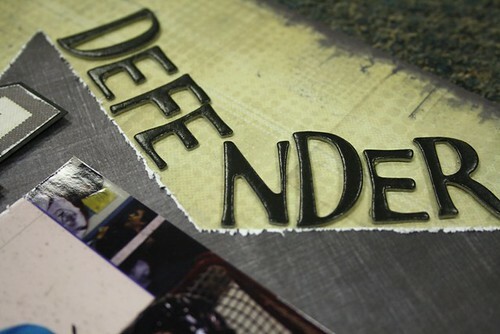 I used a combination of stickers and hand cut die-cuts from the papers to create my title. If found a set of SVG files from SVG Cuts that included the fishing hat and the trees. 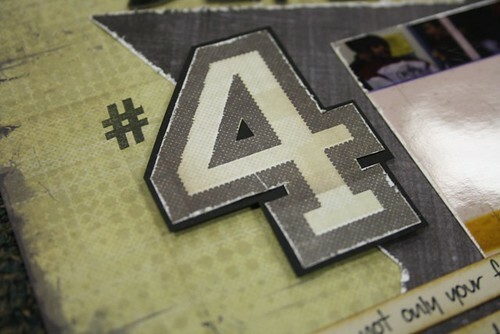 There were some really awesome images that I could cut out from the paper that I used as embellishments too. I added stitching to the die-cut trees and I used a check mark stamp to check off the list of fishing supplies. I used my new favourite font to do my journaling and then cut it into strips. 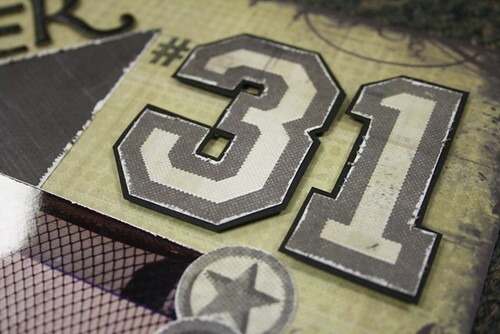 I also added some hand stitching over the fishing line to make it pop a bit more. I remember this day well. 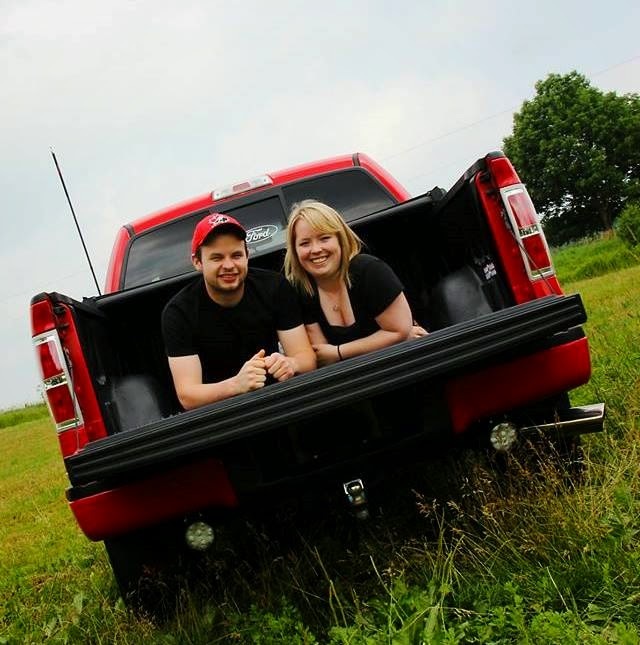 I pulled the boys out of school in June and we headed off to visit my mom and dad at their trailer on Bellwood Lake. We hung out for the day and stayed for dinner. 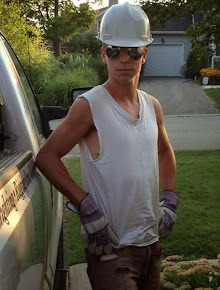 Can't wait for summer to arrive again.